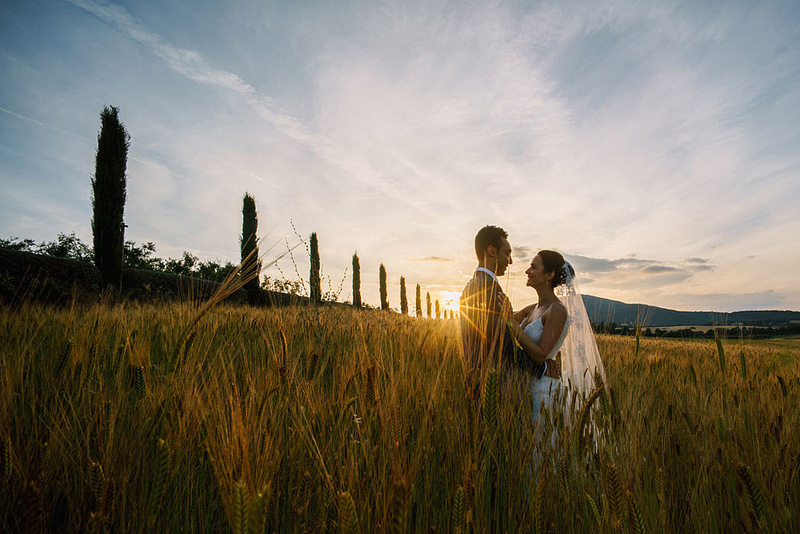 The Tuscany has always been in the imaginary world, the land of vineyards and cypress trees, wheat fields that are lost in the horizon, and in the warmth of a sunset. 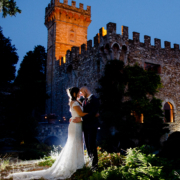 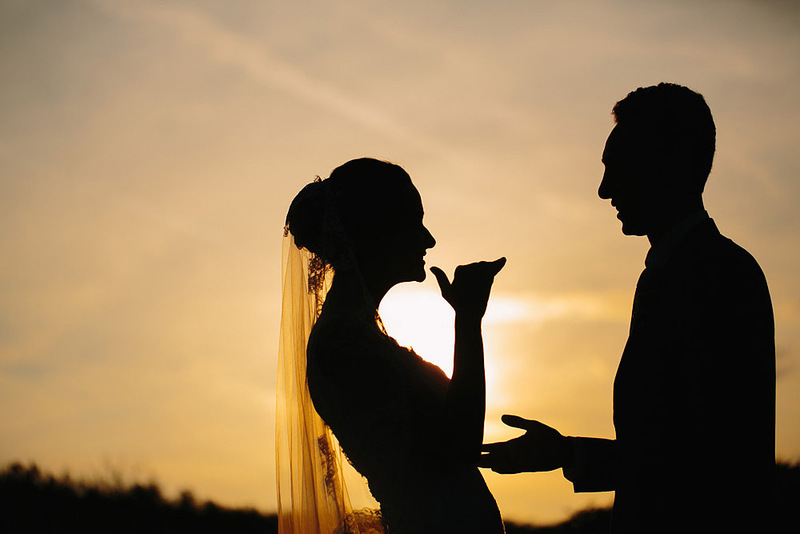 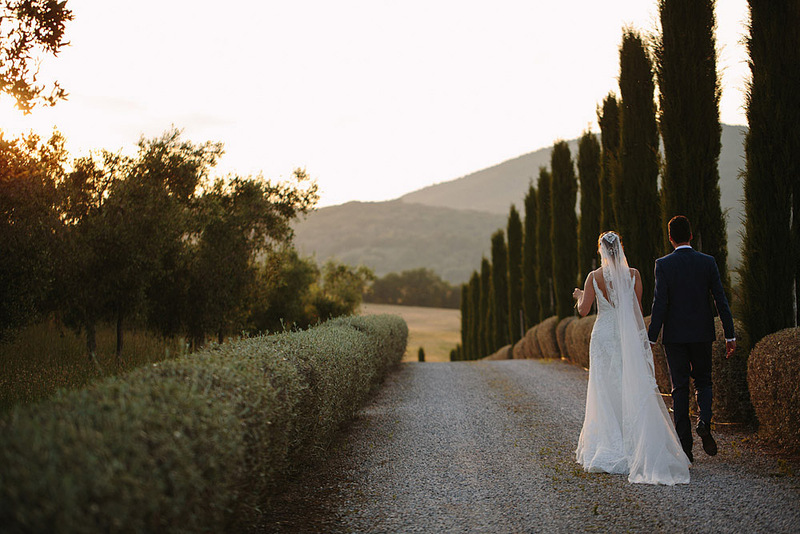 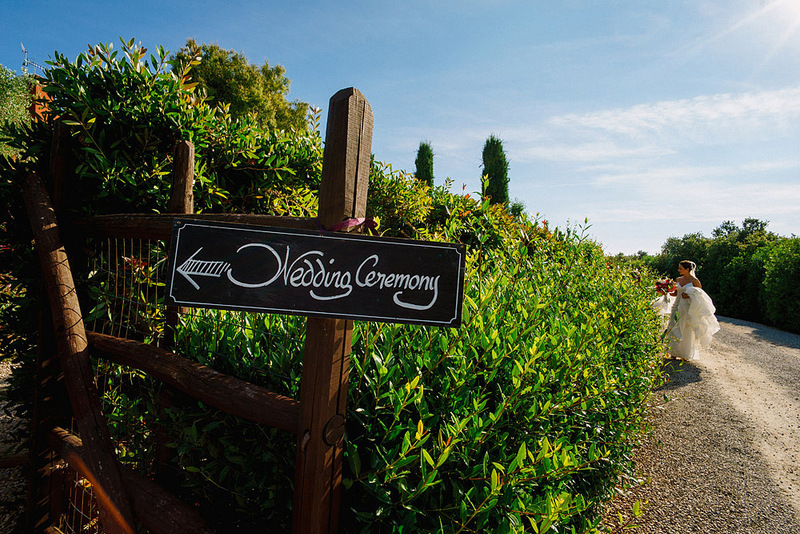 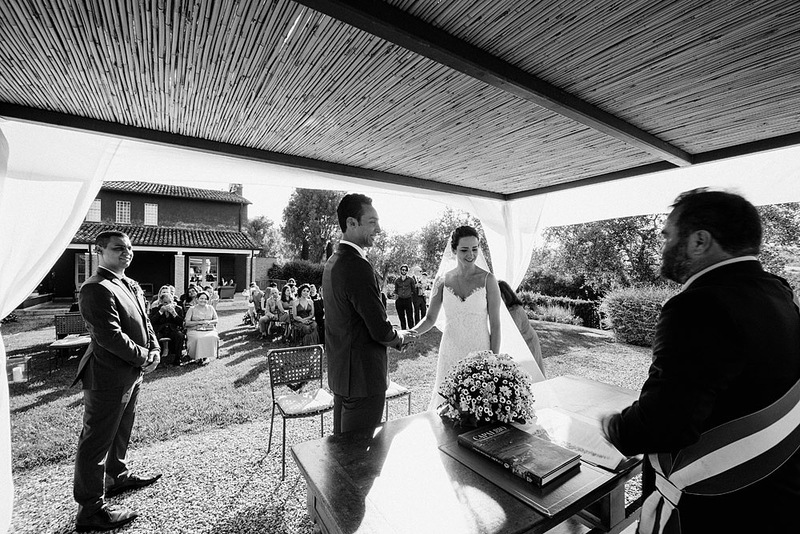 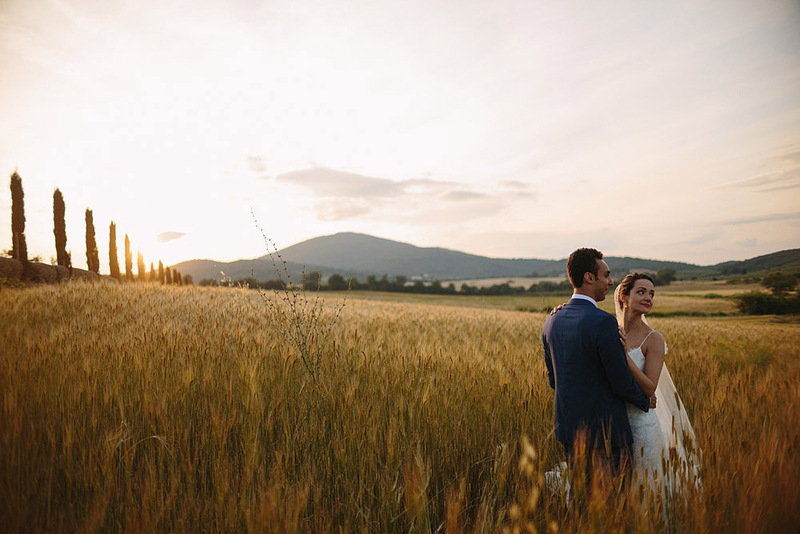 Choose to celebrate own wedding in Tuscany is undoubtedly one of the most romantic experiences to do in life. 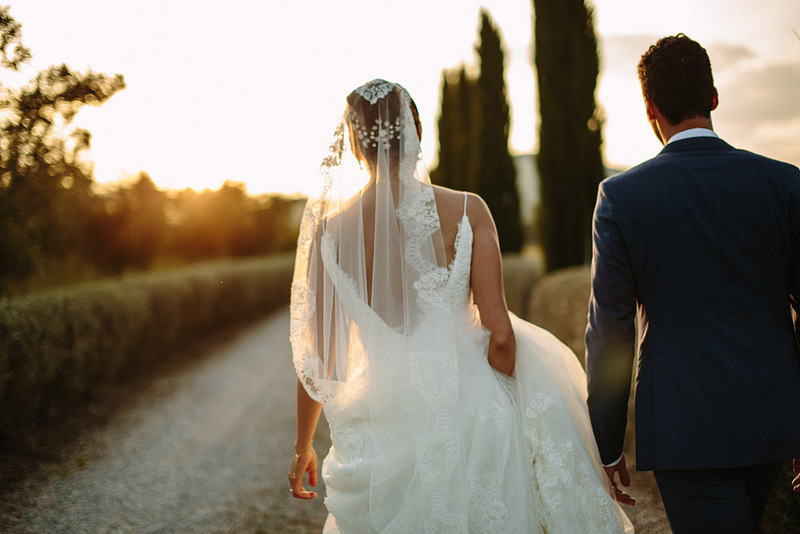 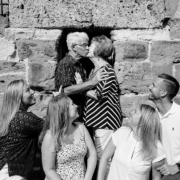 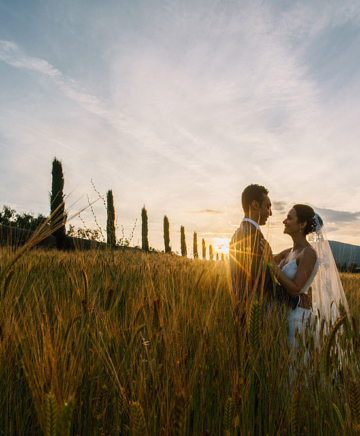 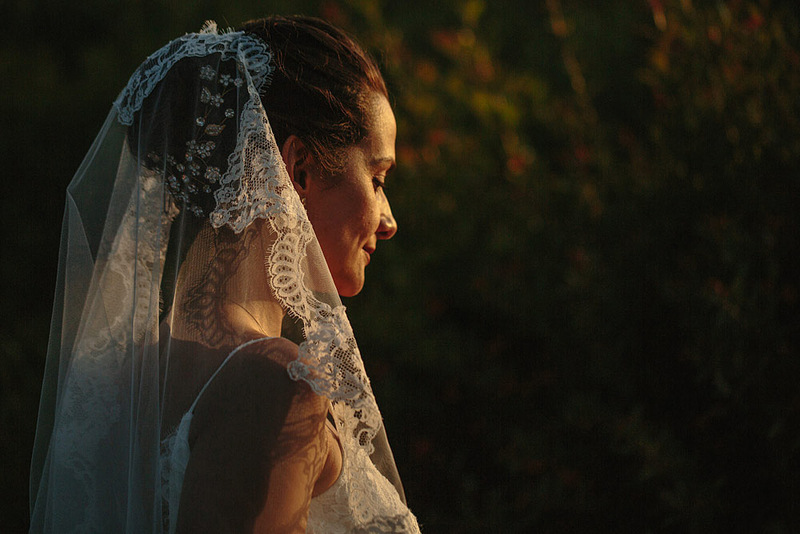 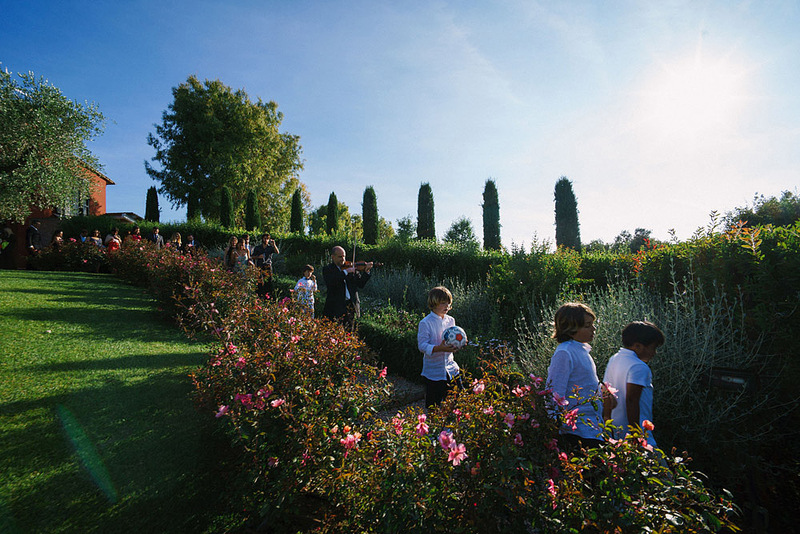 Many couples from all over the world decide to crown their dream of love in the sun of the beautiful Tuscany. 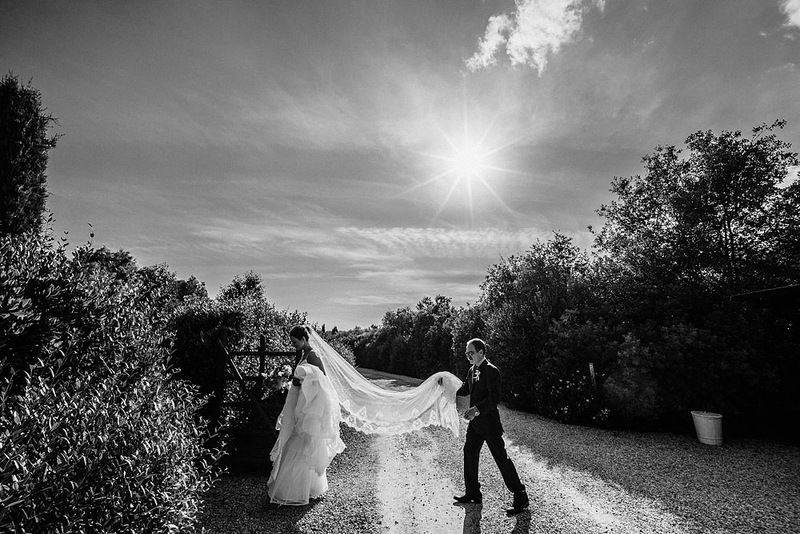 Who would not want to relive it in the photographs of the wedding the atmosphere and the magic of this wonderful land? 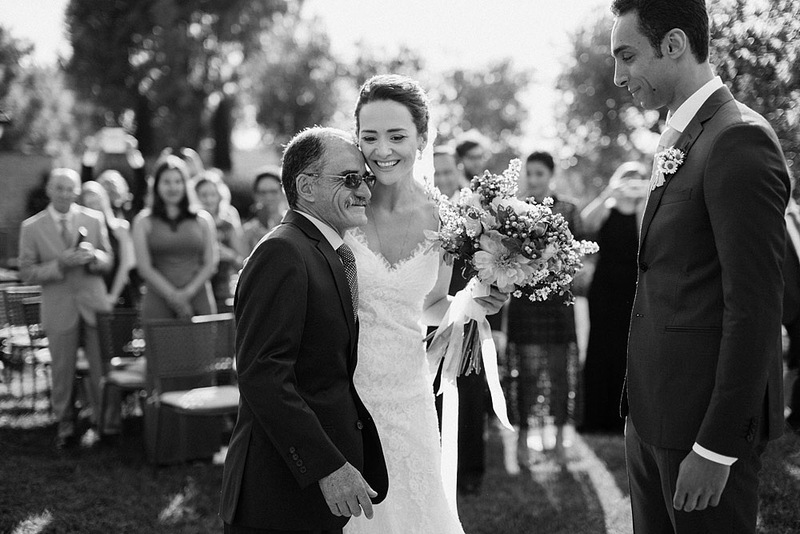 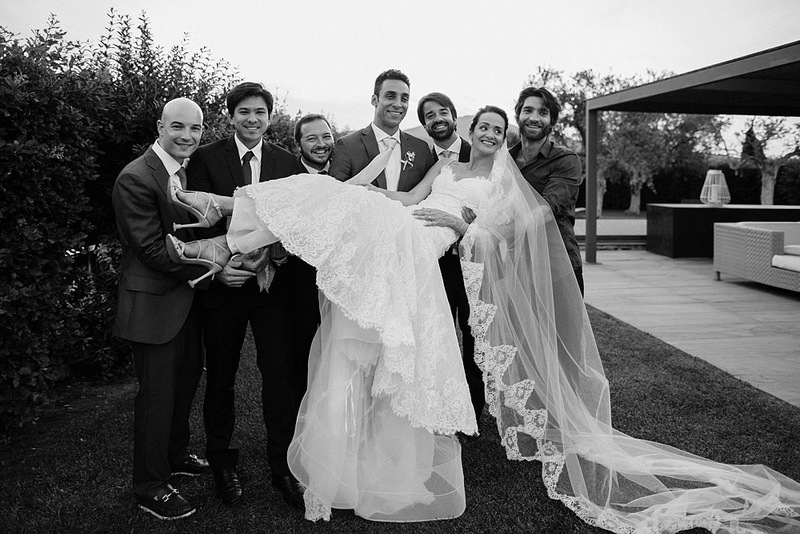 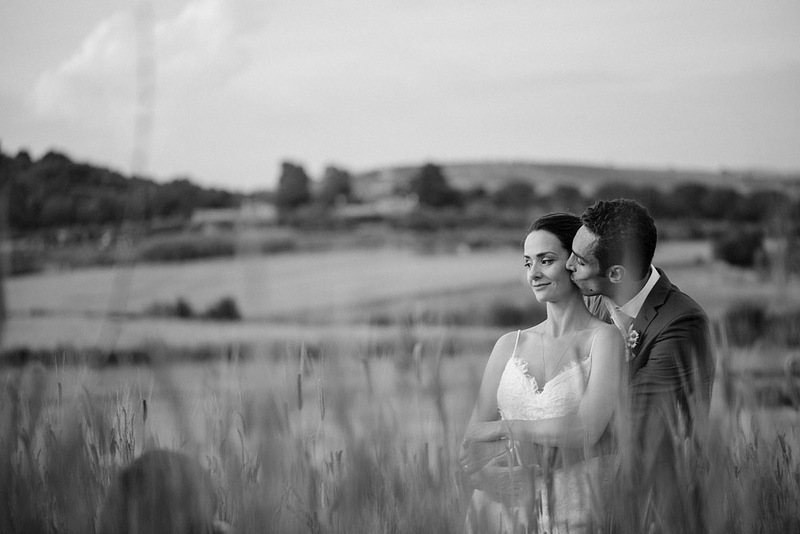 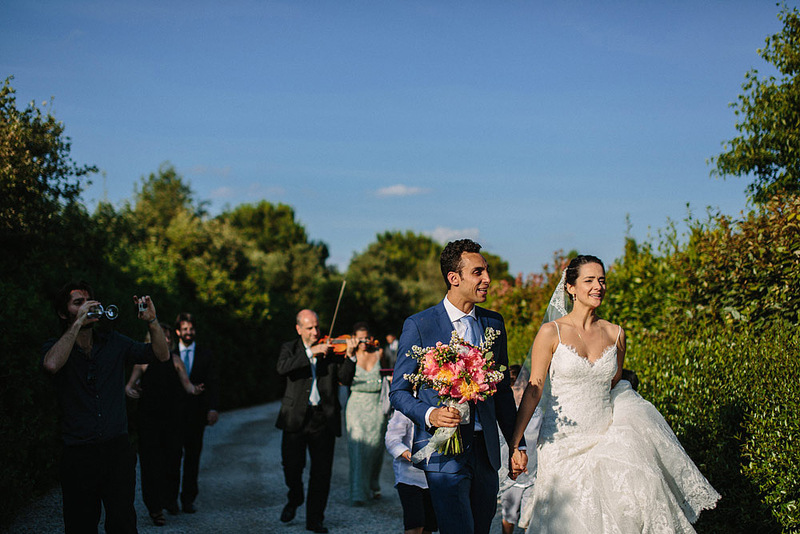 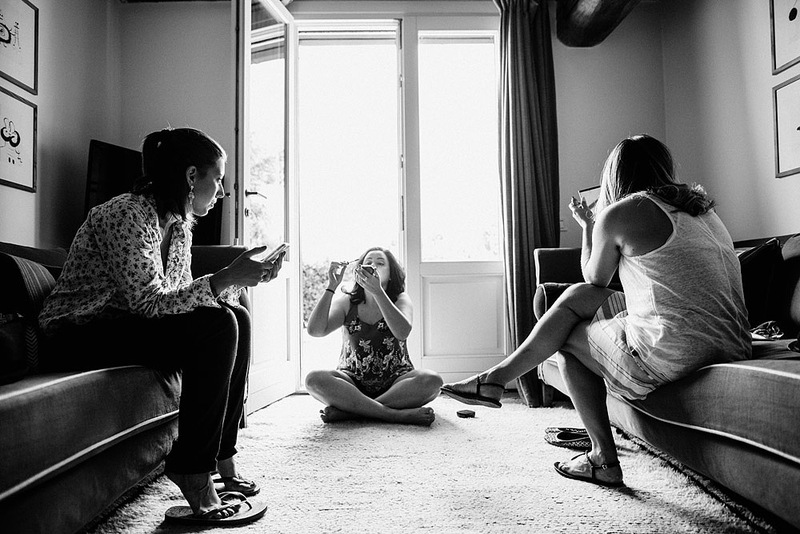 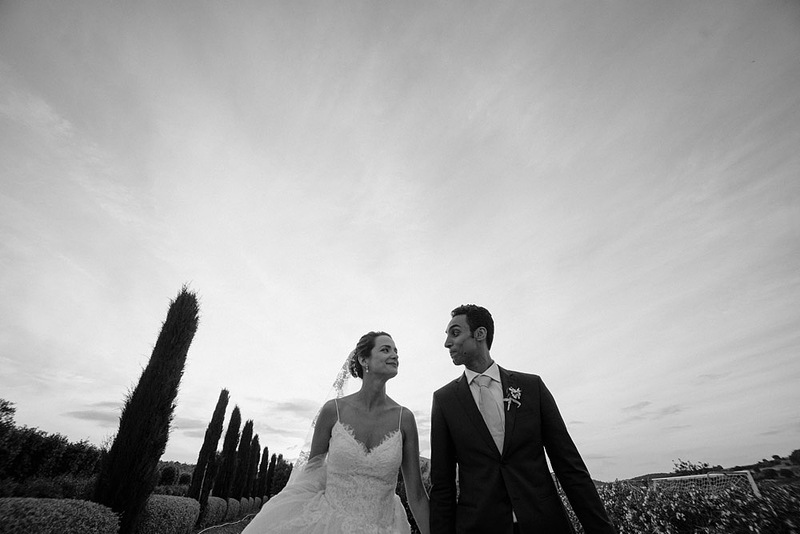 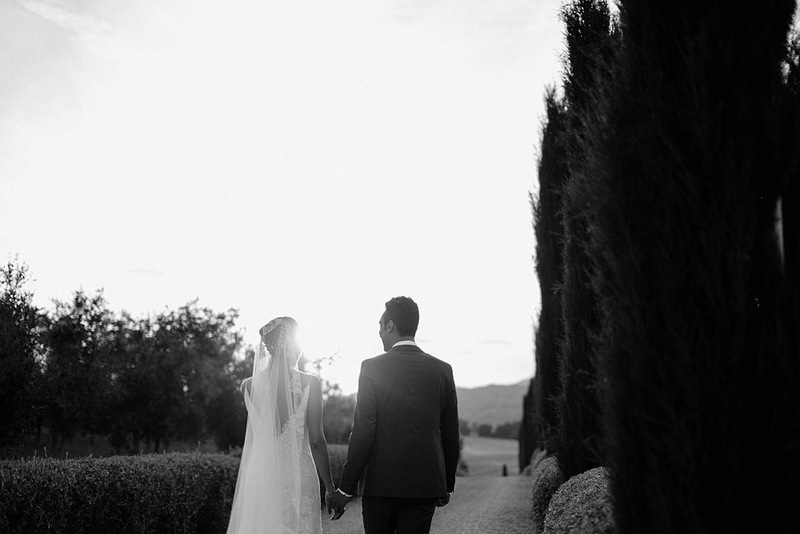 Raquel and Felipe have been in touch with me to have a memorable experience of their wedding in Tuscany. 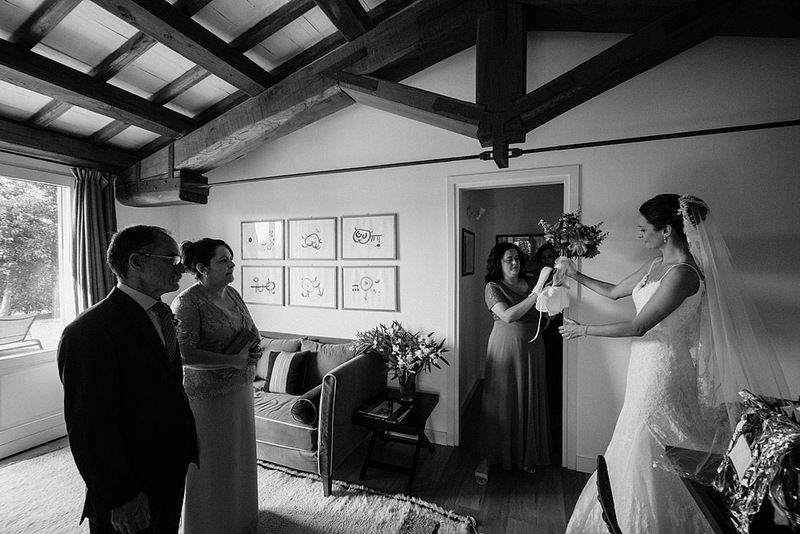 They wanted a beautiful reminder of that day, of the special photos. 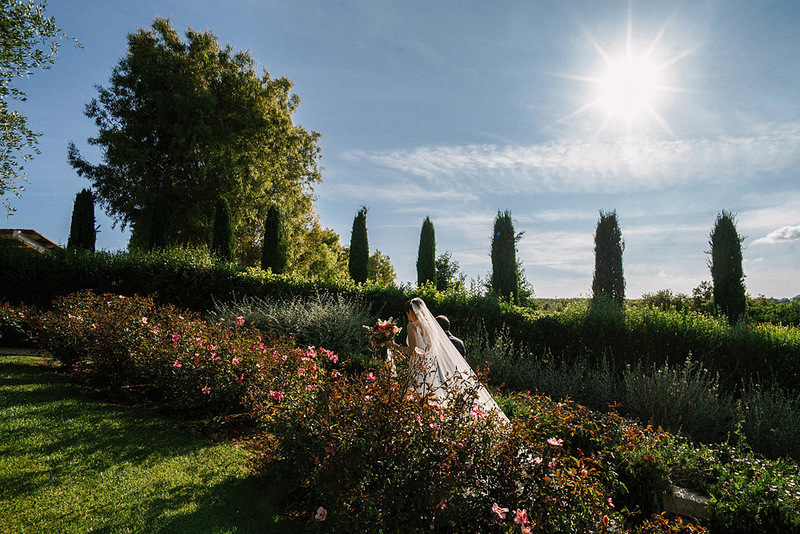 They could not have chosen a better place to celebrate the wedding, a unique and magical place, full of history and stories, the Maremma Toscana, precisaly in Capalbio. 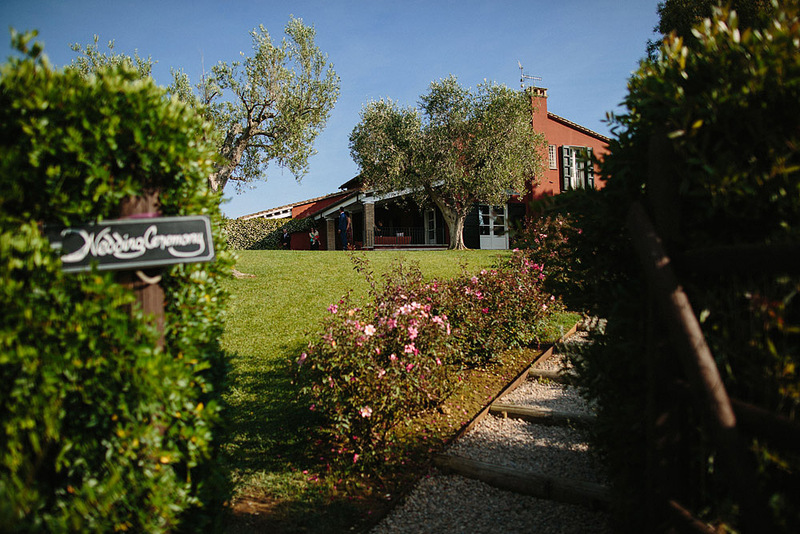 The Maremma defines a lifestyle based on respect for the environment, for culture and on maintaining traditions. 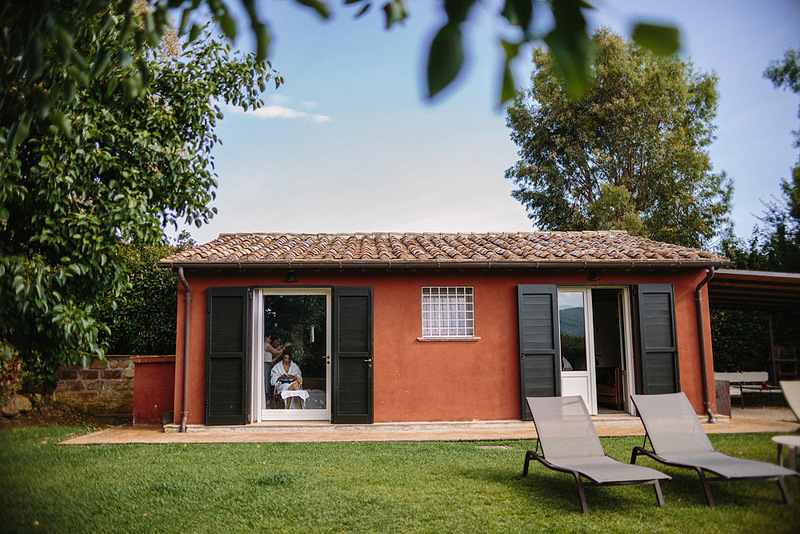 The Maremma is a synonym for active experience, a magnificent voyage amidst colours, fragrances, history, seaside, mountains, but especially the Maremma is the good life! 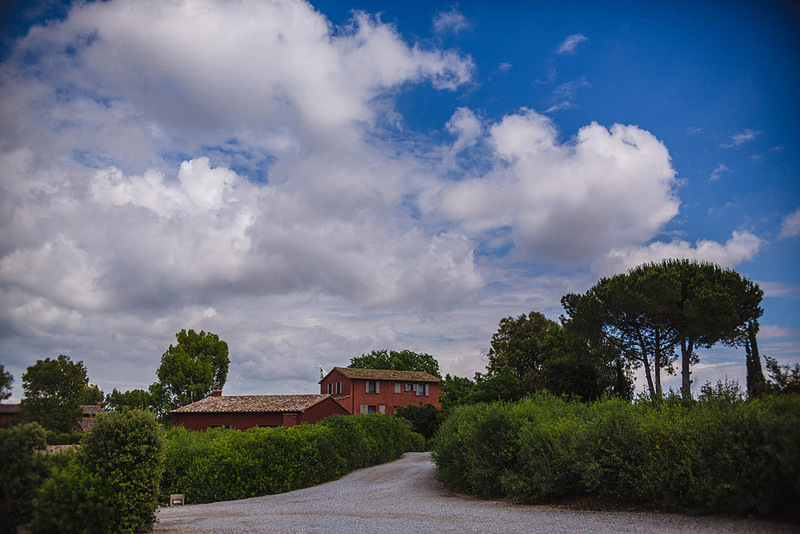 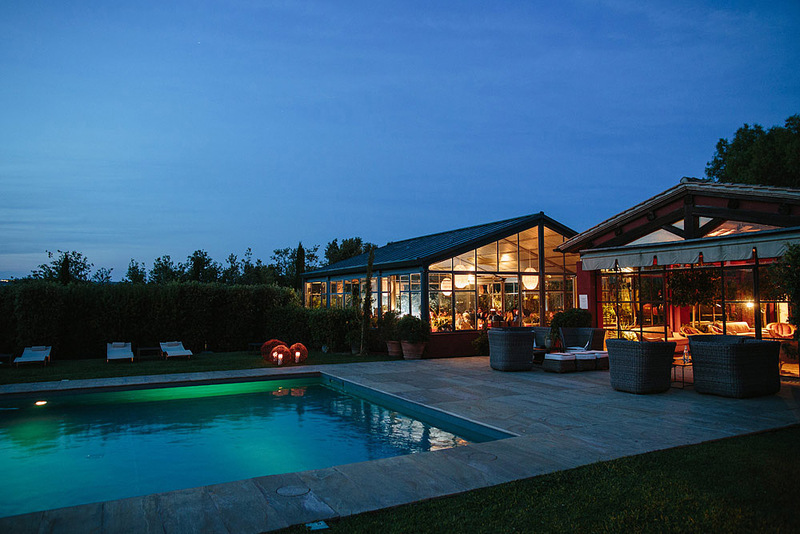 Raquel and Felipe have chosen Capalbio, one of the most beautiful and suggestive villages of the Maremma Toscana, an oasis of pure wellness and relaxation, which from the top of its hill dominates the surrounding area. 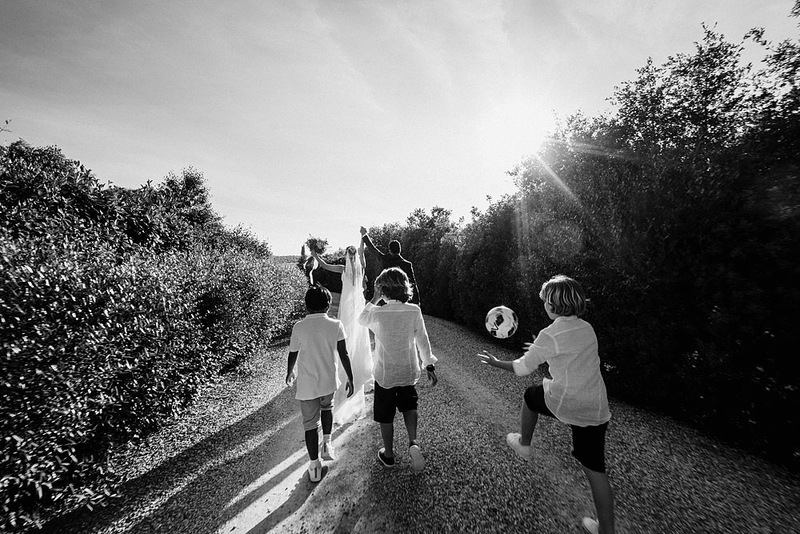 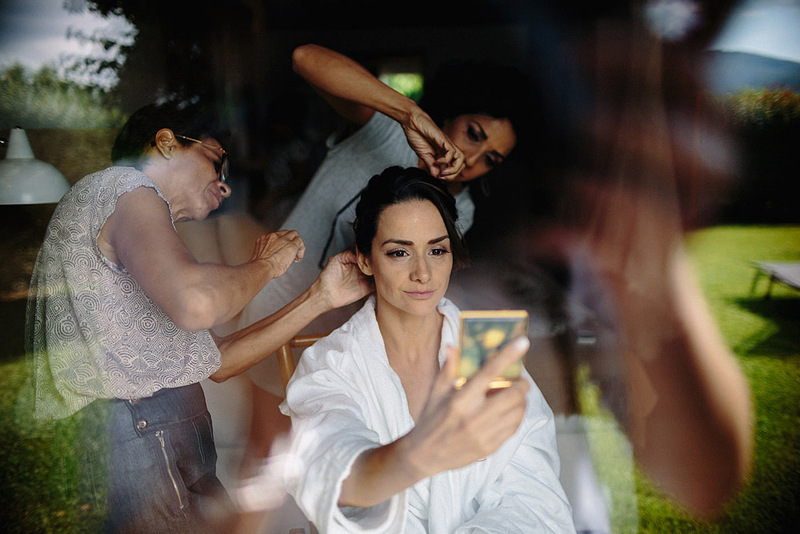 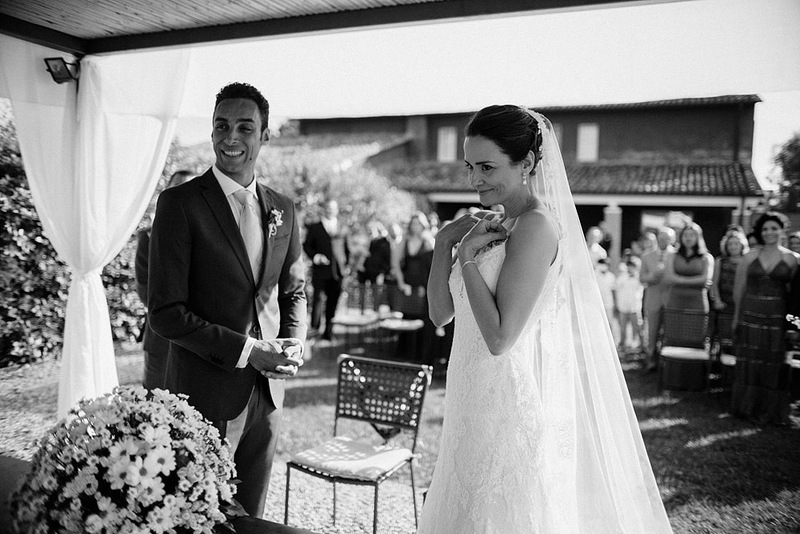 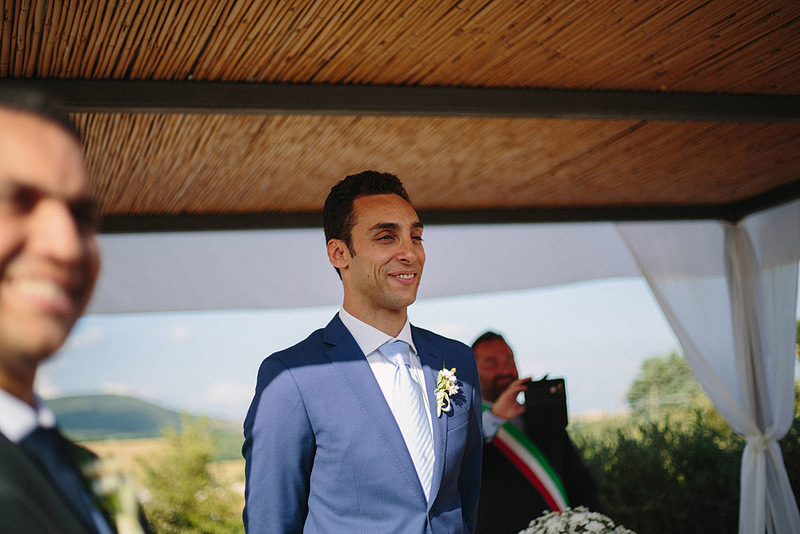 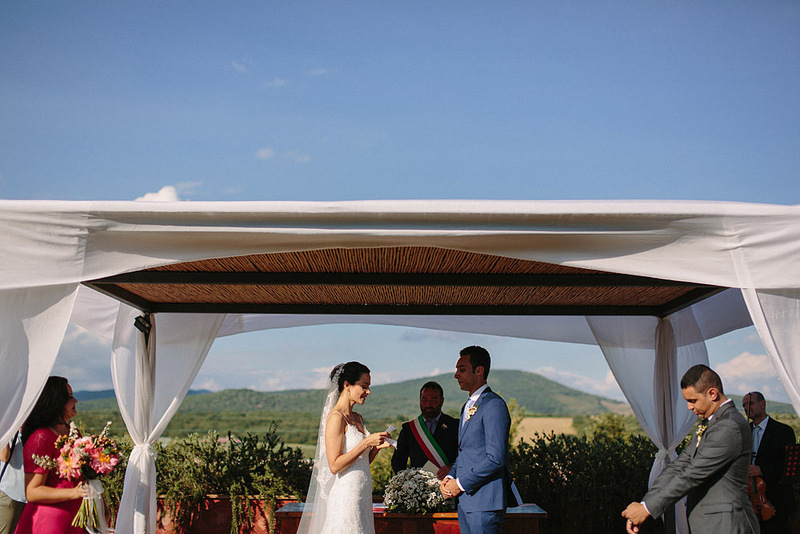 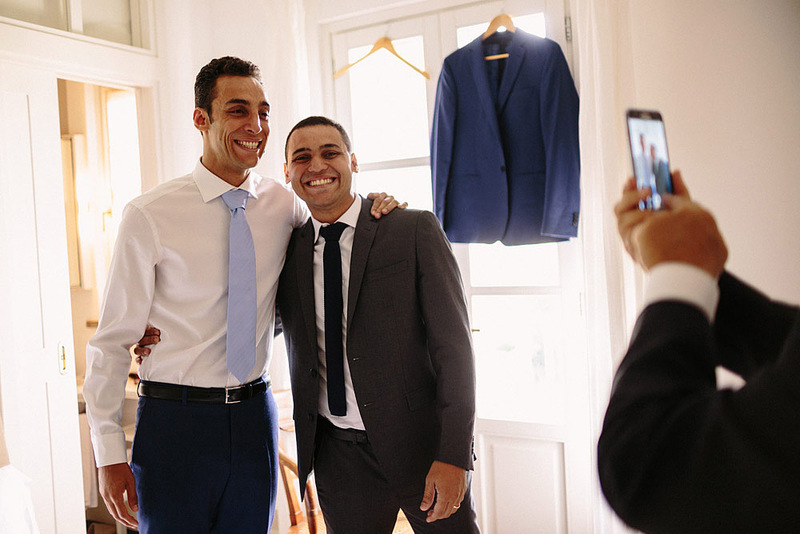 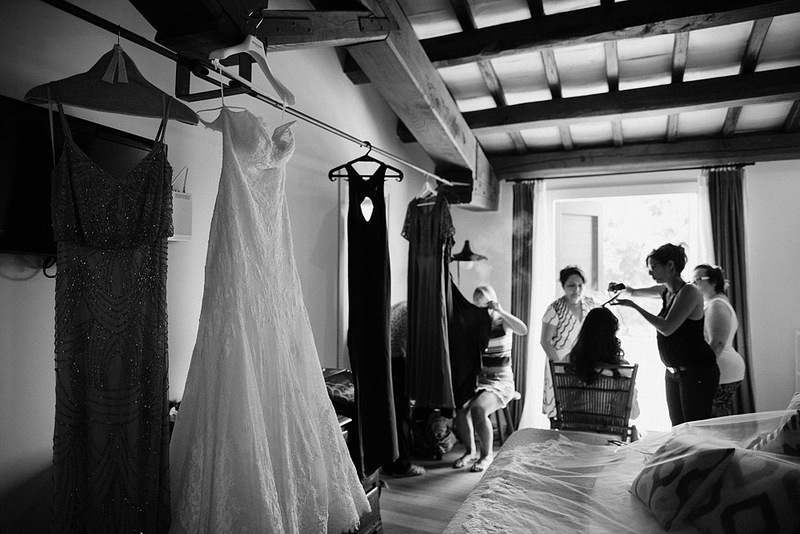 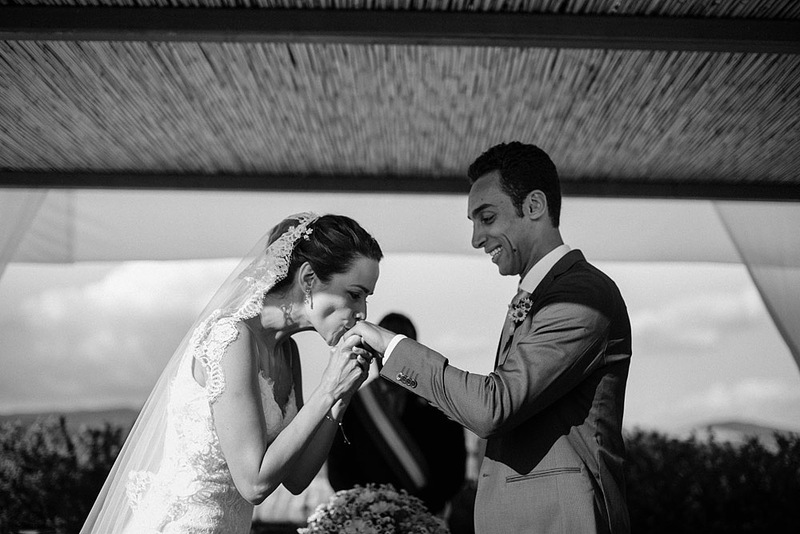 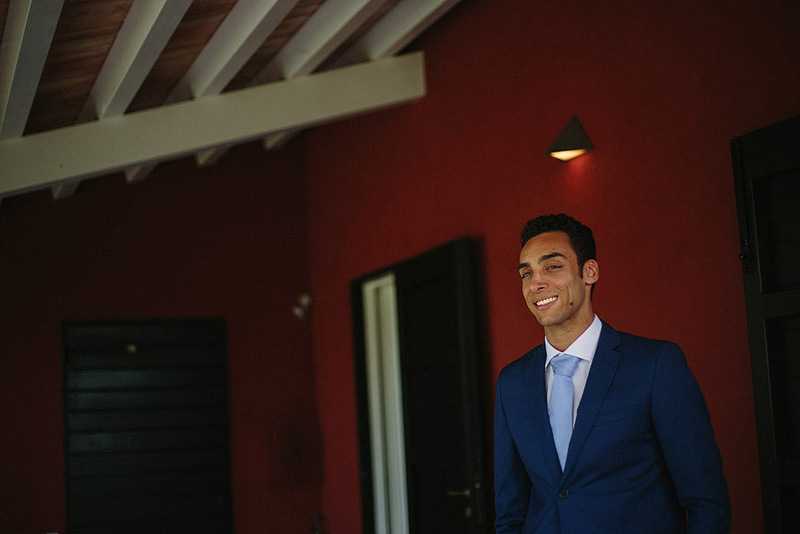 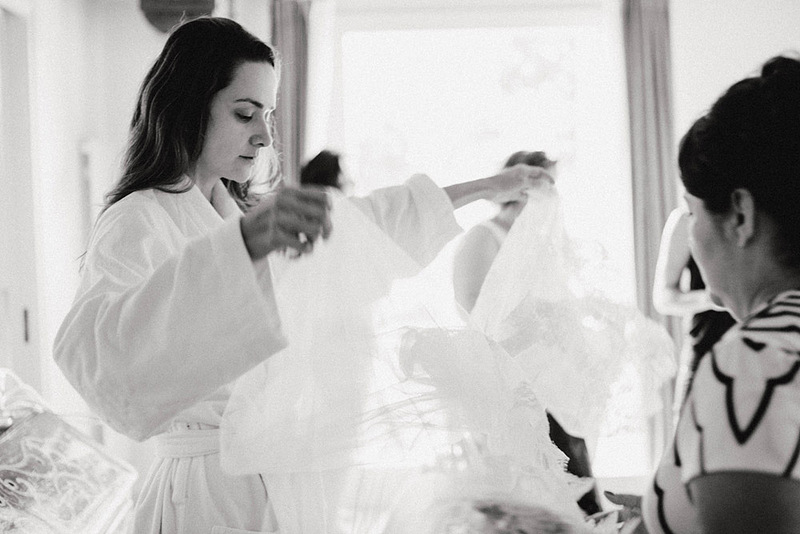 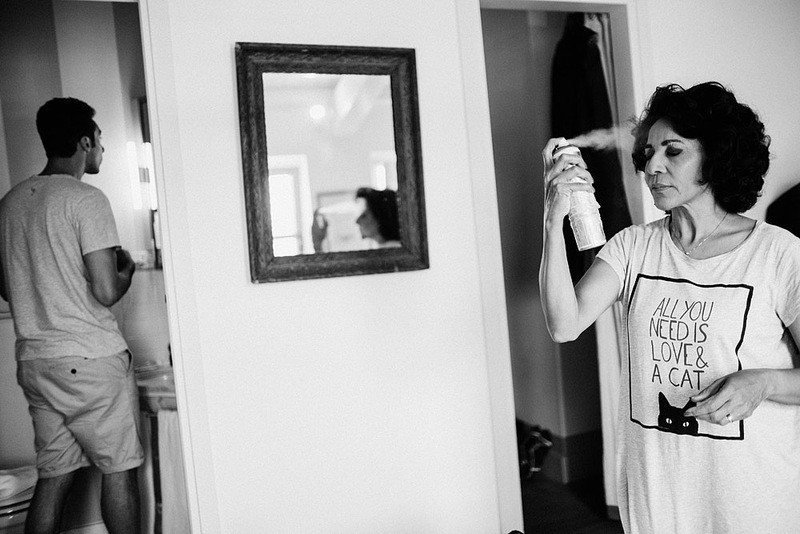 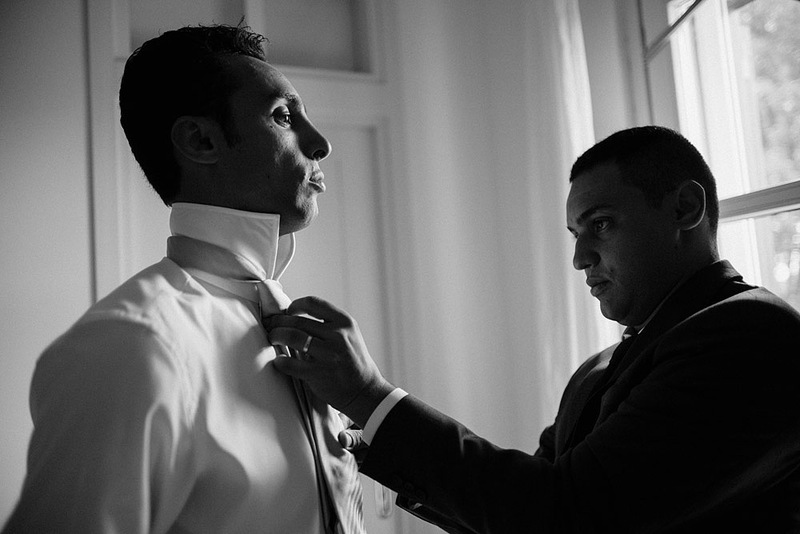 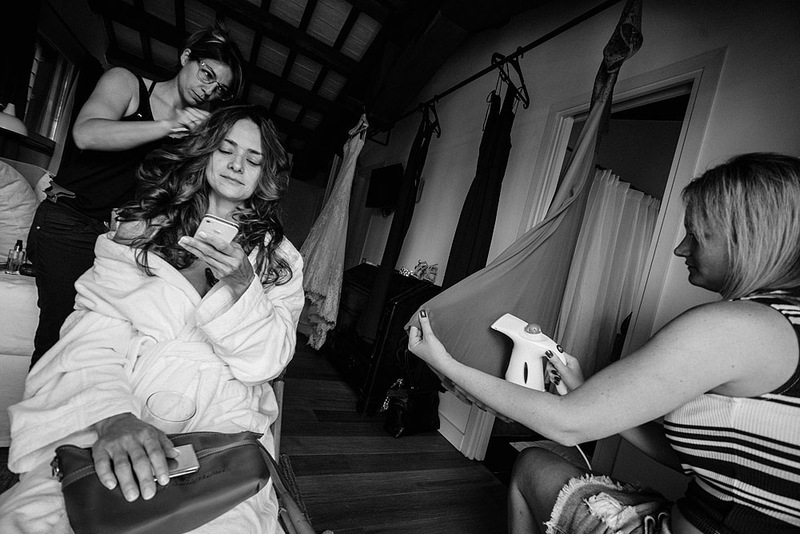 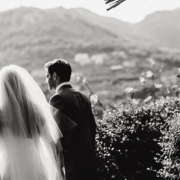 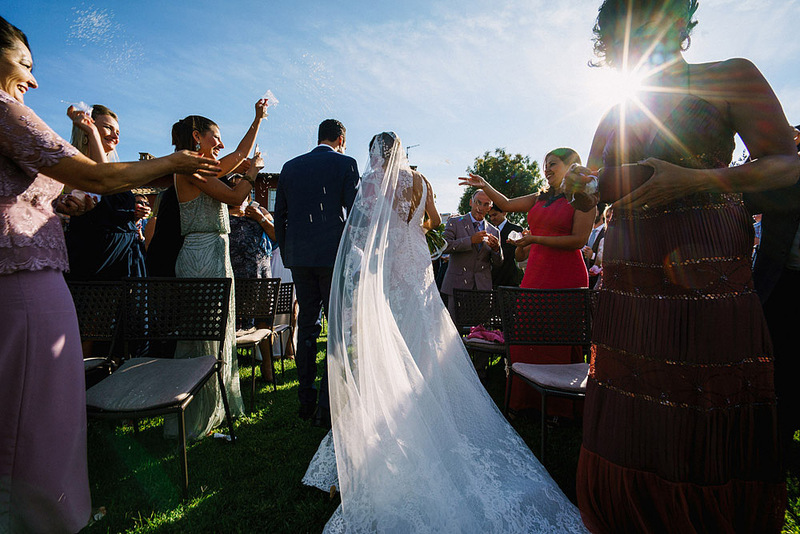 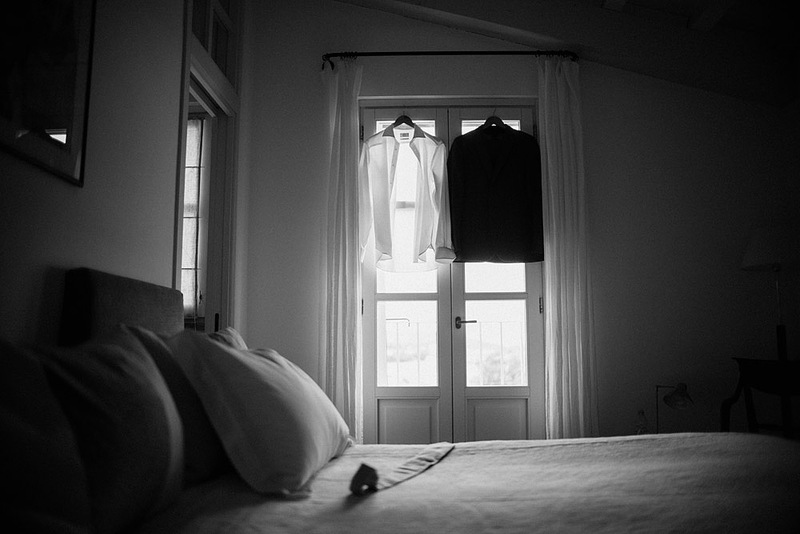 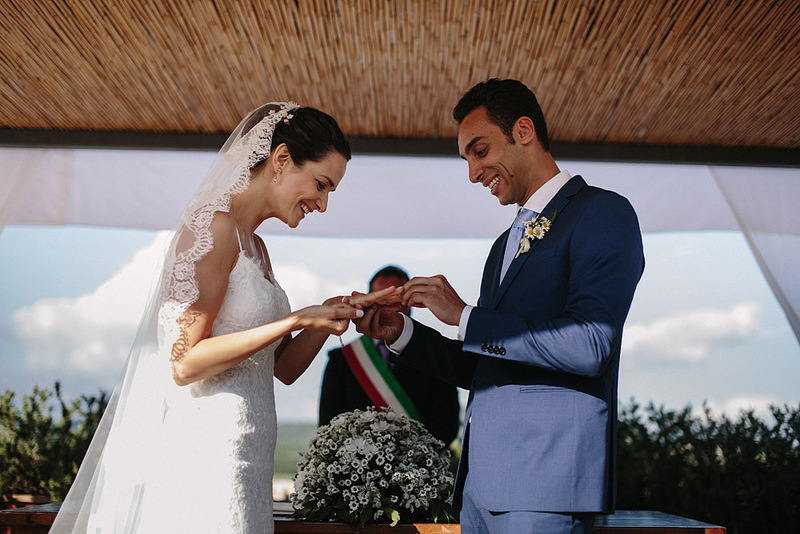 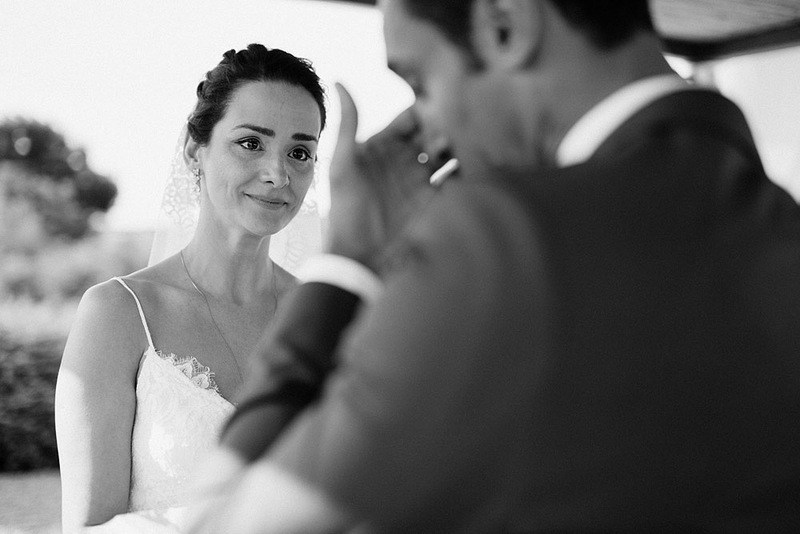 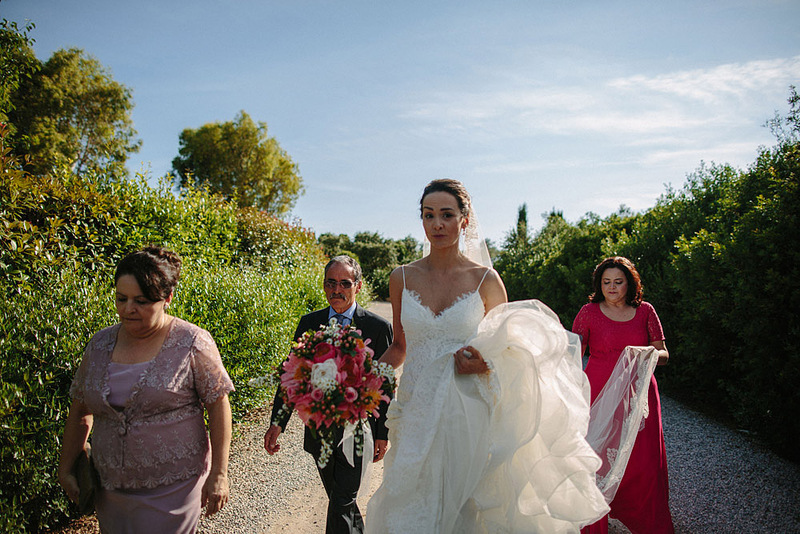 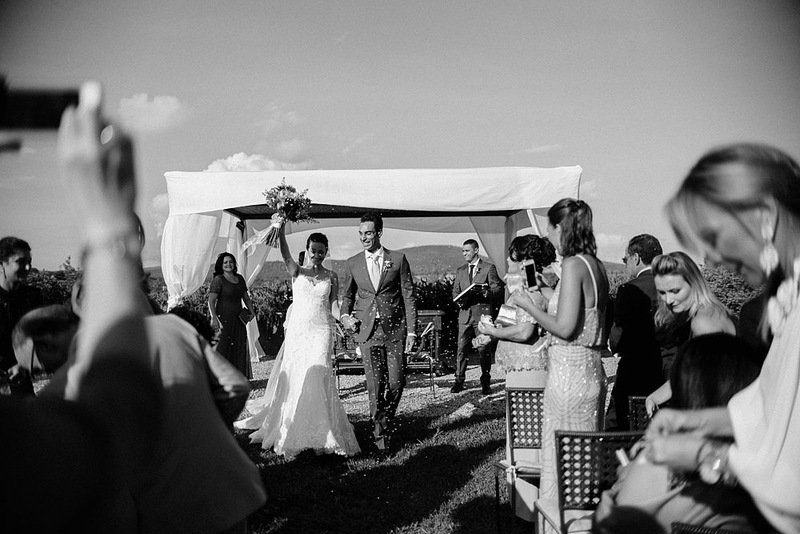 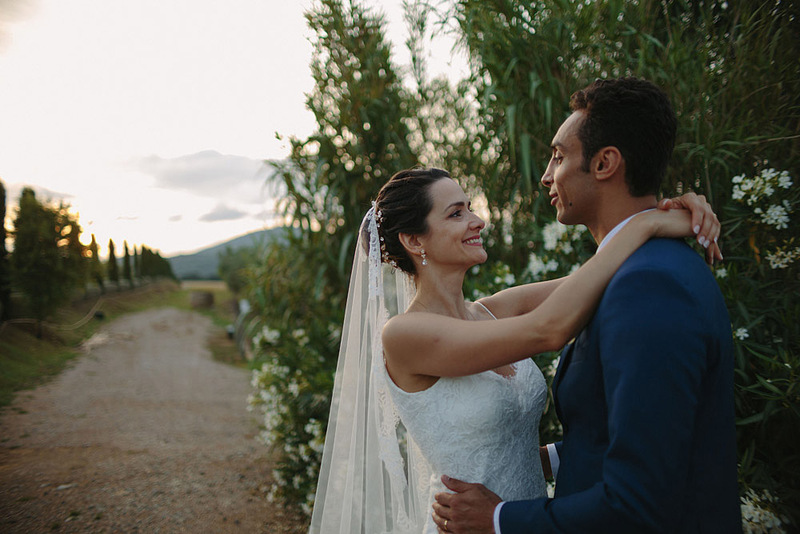 Raquel and Felipe chose Locanda Rossa in Capalbio as the location for their wedding. 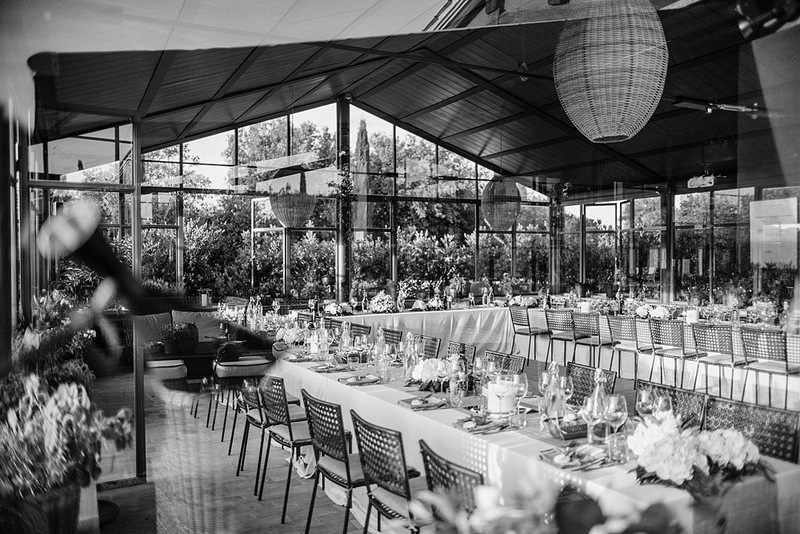 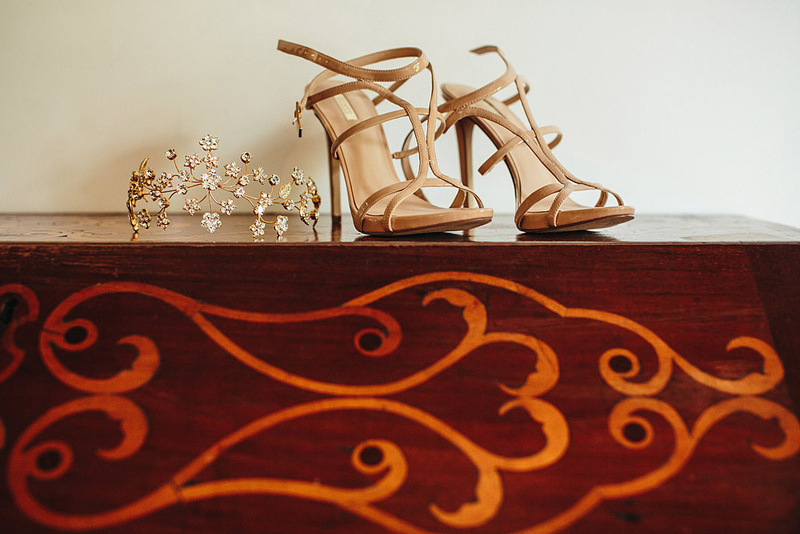 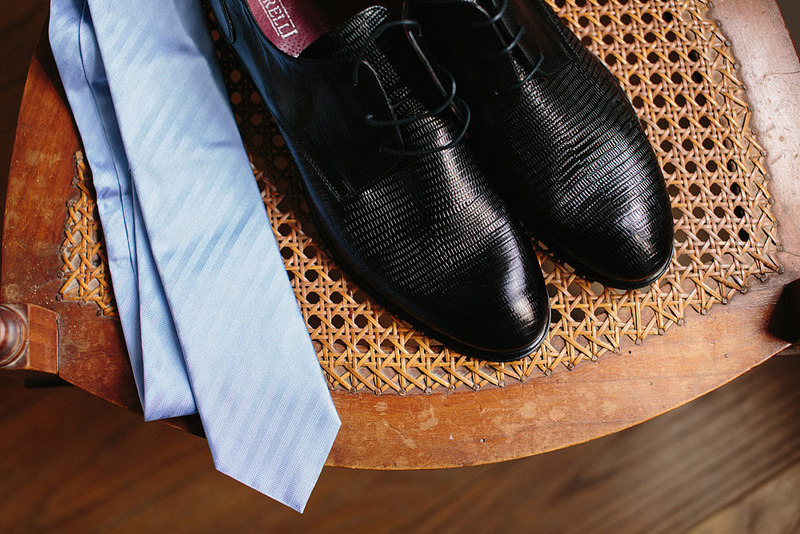 To create an elegant wedding are suffice just a few elements, simple and timeless. 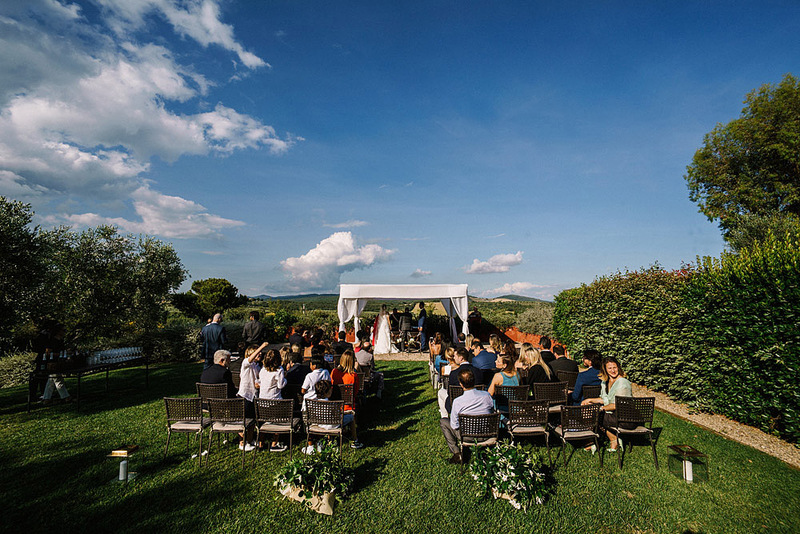 A very loving couple, a romantic location, a reception among the silent hills of Tuscany and the affection of relatives and friends. 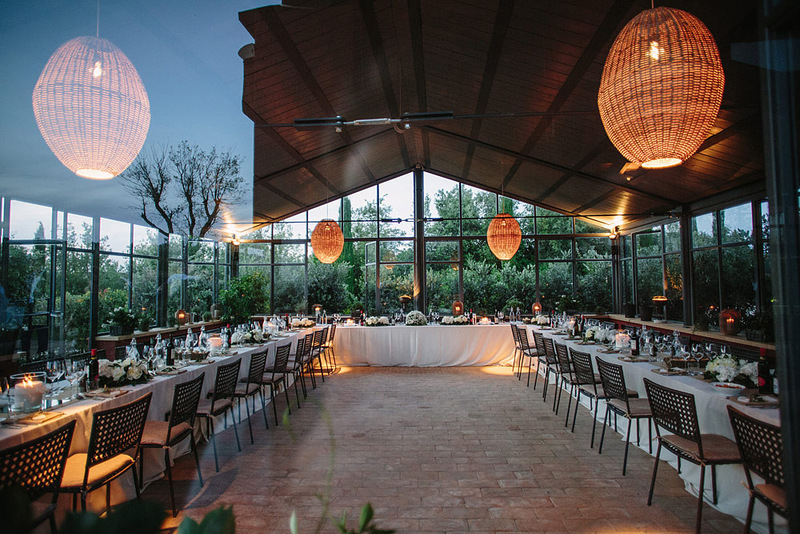 Locanda Rossa is an extremely elegant location. 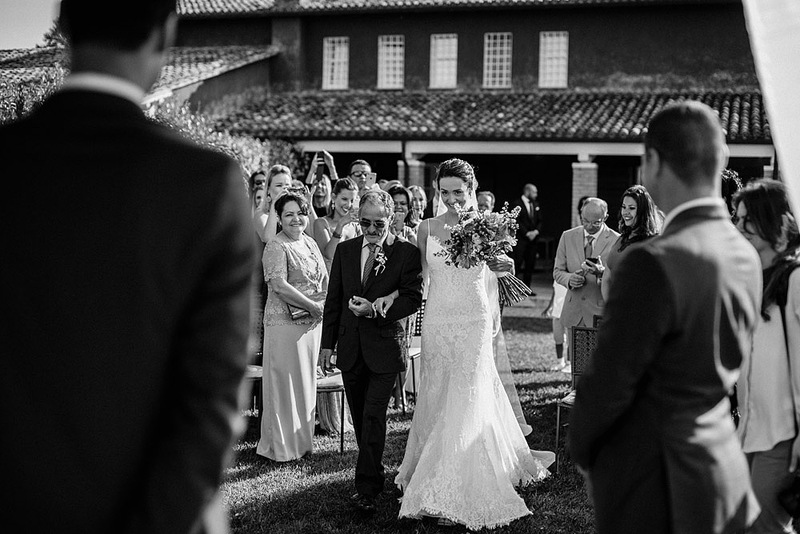 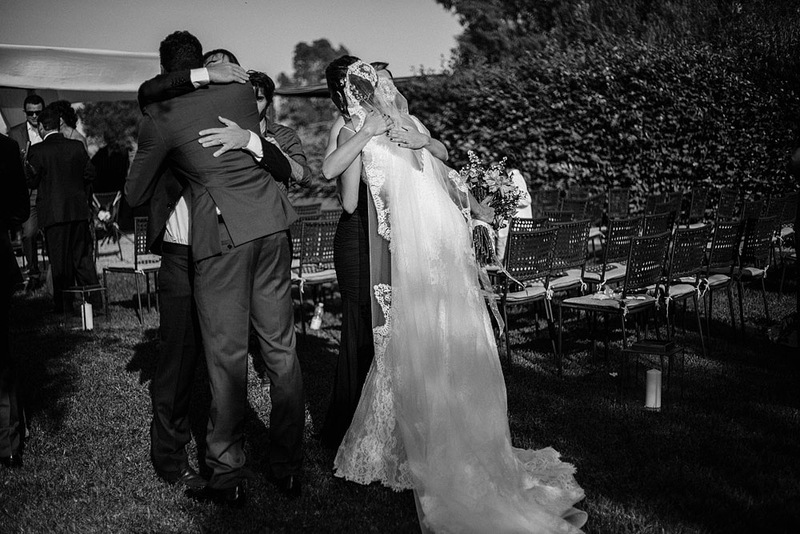 The ceremony was celebrated in the garden, in front of the imposing façade of the villa. 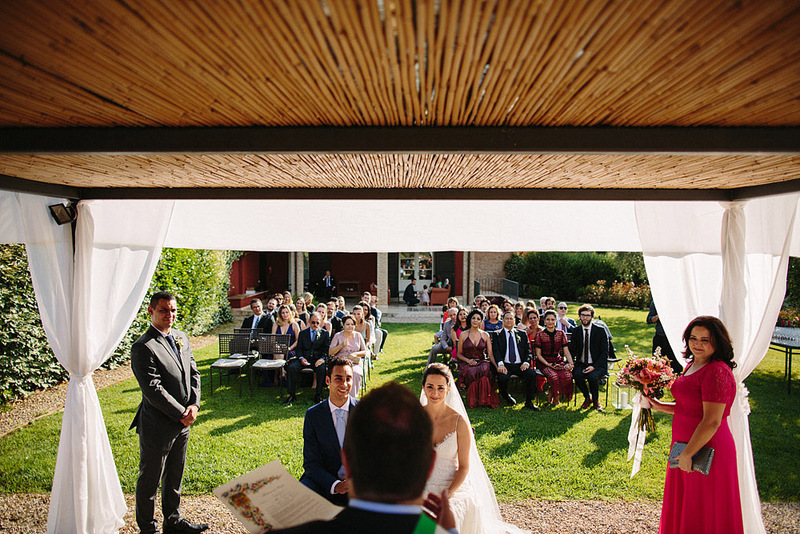 The ceremony took place between the excitement of newlyweds and guests, in an atmosphere of joy and emotion. 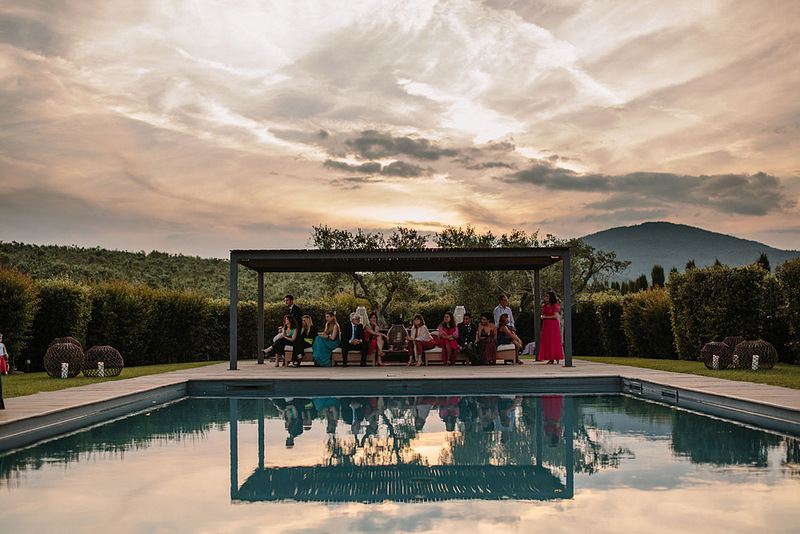 The aperitif, with wine and champagne, decorated with finger food and cheeses, has entertained guests that, between a snack and a drink, enjoyed the enchanting view. 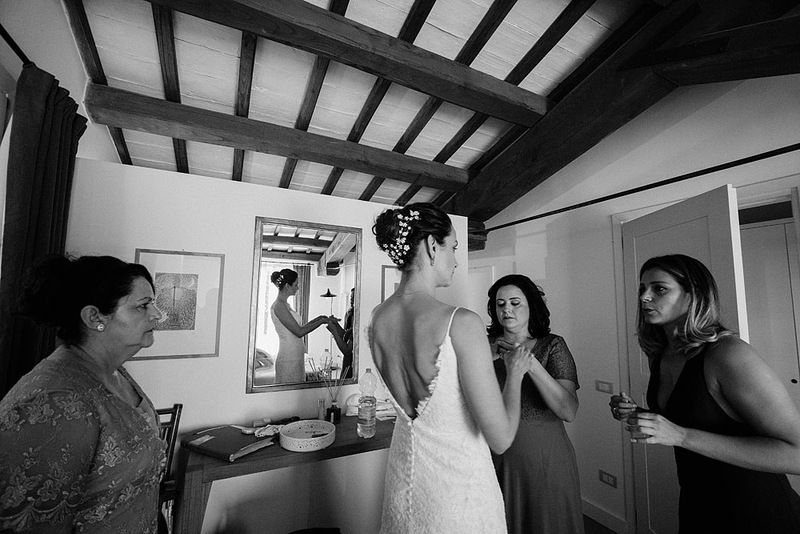 From every corner of Locanda Rossa, in fact you can enjoy a breathtaking view. 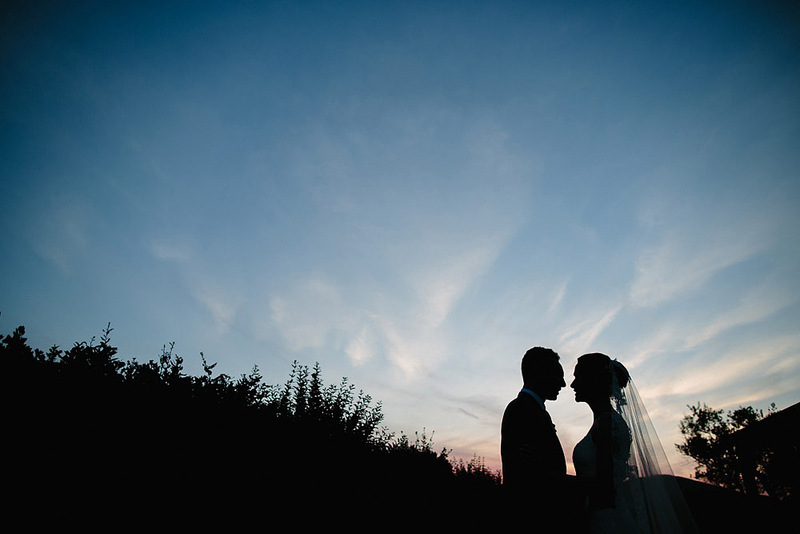 A day where the sun was always present, giving a beautiful sunset at the end of the day. 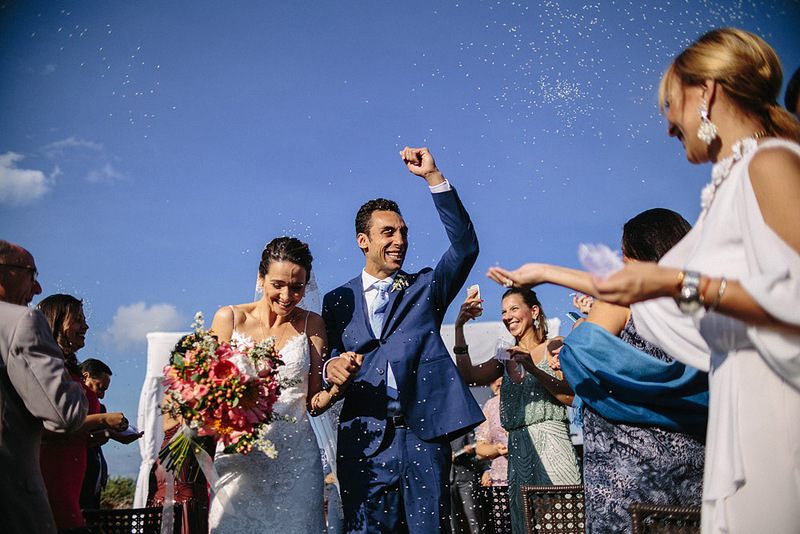 This beautiful wedding made me breathe the air of celebration and joy that there should be at each event, the love and affection of family and friends around this lovely couple, always smiling. 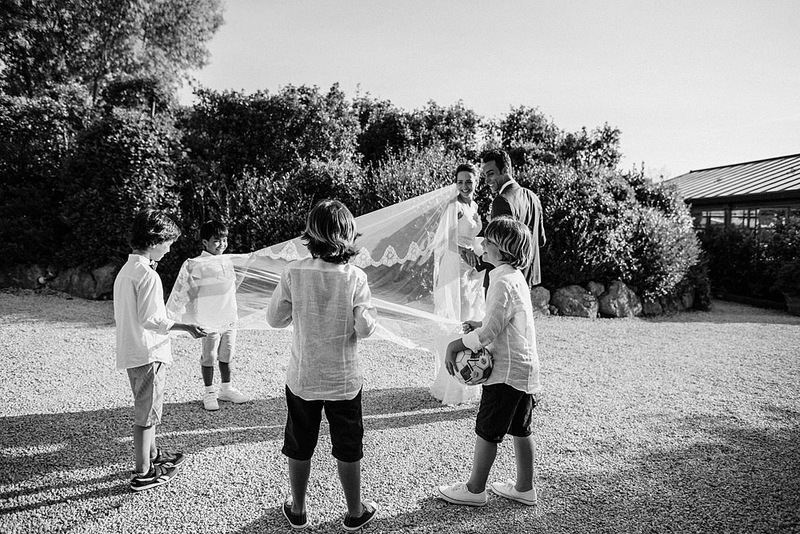 For me it was a real pleasure take part on this day, really special, Raquel, Felipe, their families and their friends were really nice and helpful.